Tell me if I get it right. To avoid unnecessary family drama, go to the mall with a game plan. And since we’re all in a giving mood, we made it for you. Check out this list of restaurants with the best deals and set meals, whichever type of family you have. Noodle Studio is Pasig’s latest noodle place noted for its Noodle Creatives, exclusive noodle dishes created by chef and owner Gigo de Guzman. For the typical nuclear family comprised of two parents and one to three children, Noodle Studio has just the right lineup. What’s their specialty: They have these salmon and cream cheese bites packed together in a crispy wonton wrapper for a rich but healthy appetizer. The sweet and savory beef brisket noodle soup for the main course is something kids will enjoy. 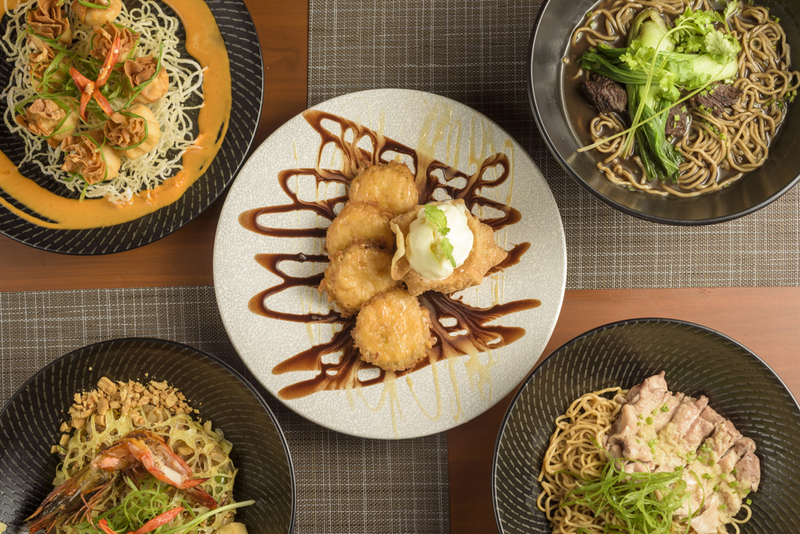 For the adults who are looking for more complex flavors, try the cold noodles with Hainanese chicken or the pad thai. For dessert, they have these hansel cookies given the deep-fried Oreo treatment. 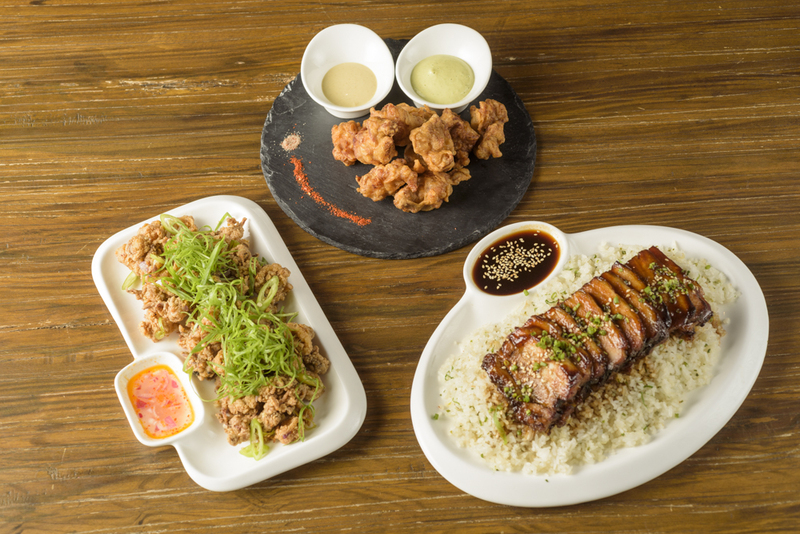 Opening Hours: 11 a.m. to 2 p.m., 5 p.m. to 2 a.m.
(Clockwise from top) Chicken karaage, salt and pepper squid, charsiu on scallion fried rice. With a cozy atmosphere and the mouthwatering scent of spices in the air, Toast makes for the perfect place for an intimate Christmas celebration with your significant other. They have a menu highlighting modern Asian cuisine and a whole bar for you and your partner to enjoy your child-free Christmas. What’s their specialty: Toast’s set meal includes the chicken karaage (Japanese fried chicken served with karaage aioli, curry mayo, and Toast’s own spice salt), and salt and pepper squid that you can enjoy with a couple of drinks. Then, they have one rice meal in the form of the charsiu on scallion fried rice for something more filling. 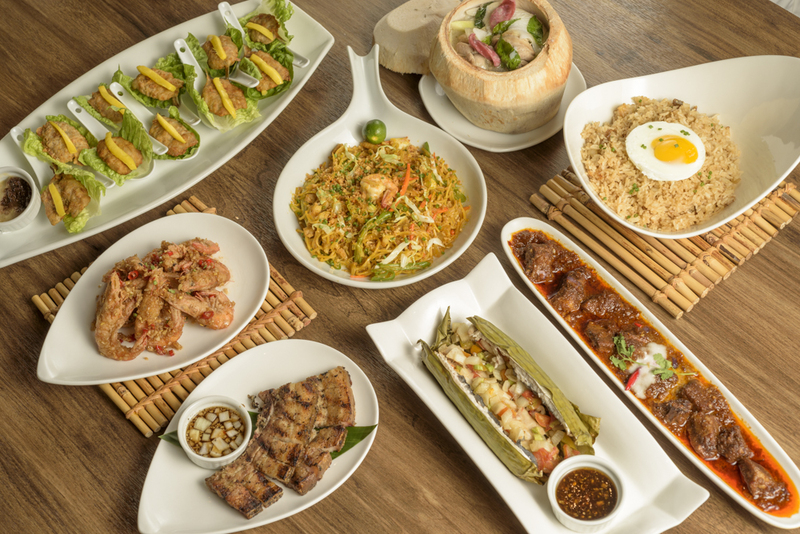 With a menu specializing in Filipino modern cuisine, Mesa’s set meals are comprised of dishes that would really feel like a coming home for relatives and friends who have been staying or working abroad. The best part? 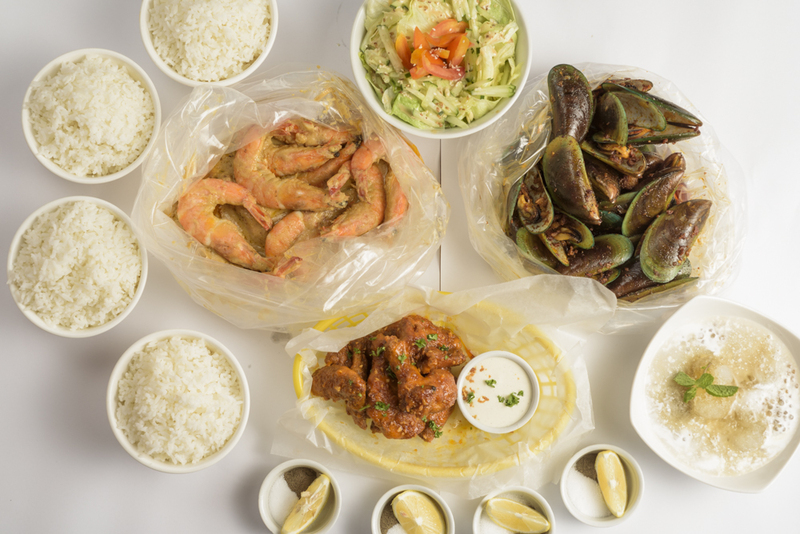 You can partake in the customary binalot practice because their set meals come with two orders of each dish enumerated below. What’s their specialty: Package 1 of their set meals include all of the classics:Tawilis with mangga, Bam-I (a combination of egg and rice noodles done right), chicken binakol (chicken simmered in broth with young coconut, chorizo, and green papaya), sisig rice, Mesa braised beef, pinaputok na bangus, grilled liempo Mesa way, and swahe salted and spicy. 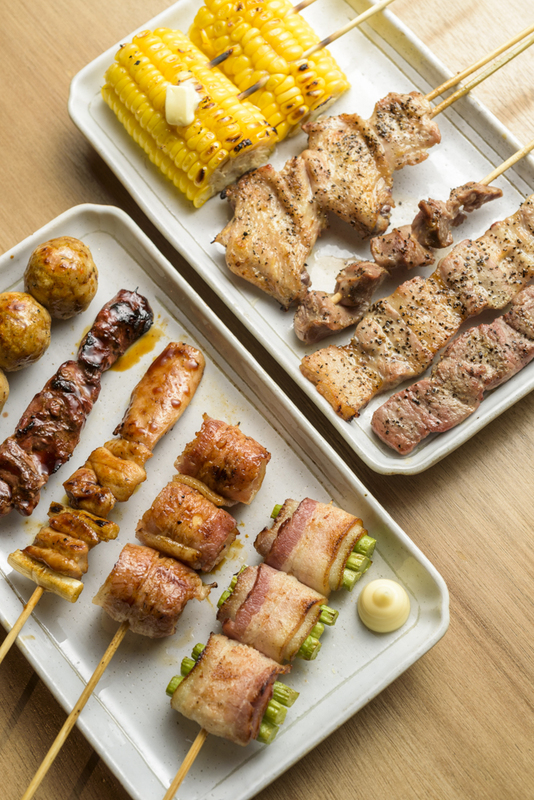 This Japanese-style barbecue place offers the yakitori set and tomodachi set, which is perfect for a single parent and their kid. Both sets combined cover appetizer to dessert. They’re also just enough for a celebration for two plus leftovers that won’t overwhelm you. 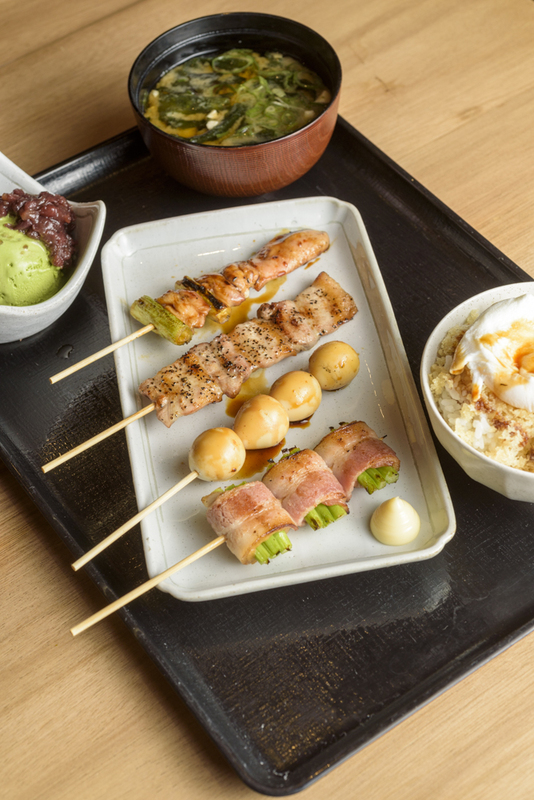 What’s their specialty: The yakitori set is composed of four yakitoris, one miso soup as a starter, one egg rice (steamed Japanese rice topped with tempura flakes, poached egg, then drizzled with their signature Tare sauce), and one scoop of vanilla or matcha ice cream topped with red beans for dessert. The tomodachi set includes one of each of the following: tsukune (chicken meatball skewers), asparagus with bacon (bacon-wrapped asparagus), yakiniku (seasoned rib-eye), tebasaki (chicken wing), butabara (pork belly), hasami (chicken thigh with scallions), uzura tamago with bacon (quail eggs wrapped with bacon), sunazuri (chicken gizzard), kimo (chicken liver), and corn on the cob. Opening Hours: Sundays to Wednesdays 11 a.m. to 12 midnight, Thursdays to Saturdays 11 a.m. to 2 a.m. 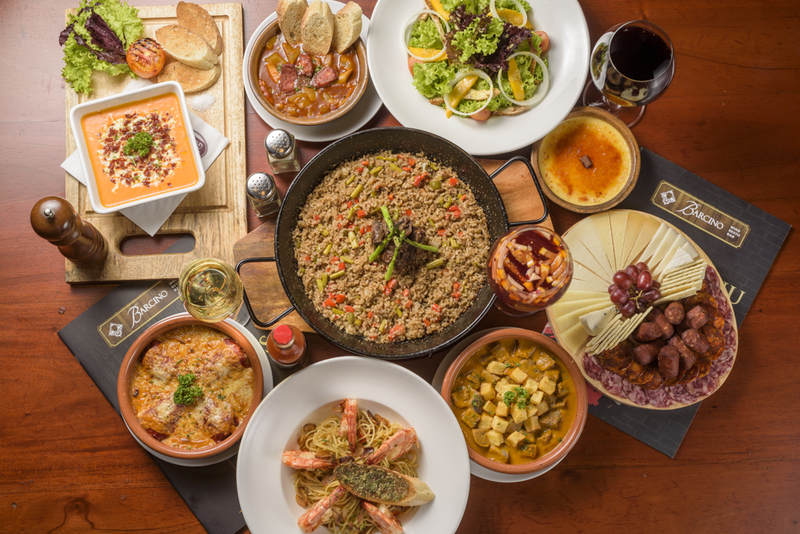 Specializing in traditional Spanish cuisine, Barcino offers colorful and festive dishes that are sure to get your big family in the mood to celebrate. What’s their specialty: Since Barcino doesn’t really have a set meal, we recommend the following lineup: First salmorejo, ensalada de pollo y mango, chorizo and cheese platter for your soup, salad, and tapas respectively. Follow that up with some tradicionales like callos a la madrileña, lengua estofada con patatas, and pimientos del piquillo rellenos de carne. Add a generous platter of spaguettis con gambas al ajillo and paella de rabo de toro to get everyone in a relaxed and chatty mood. Top the feast off with a serving of crema Catalana, Catalana’s cream custard topped with burnt brown sugar, and a big pitcher of Barcino’s infamous sangria, and you’re set for a jolly evening. For: The modern blended family complete with stepparents, stepsiblings, etc. 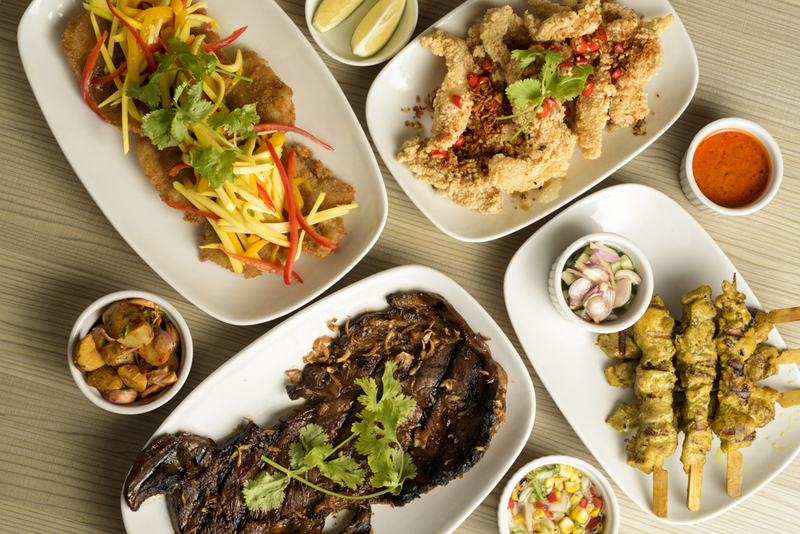 With its big servings and dishes from every corner of Southeast Asia, Ninak is the best place to bring your modern family for a Christmas celebration. They have a wide assortment of specialty rice to choose from and ulam that’s just the right balance of different but familiar. 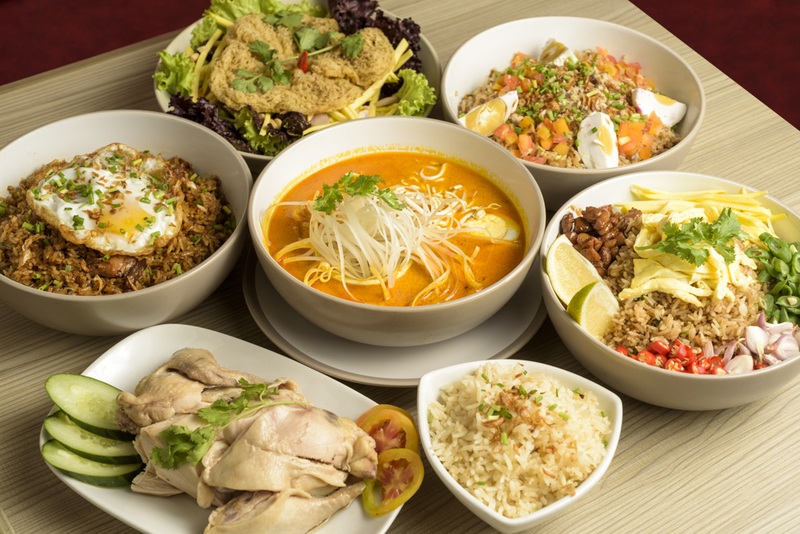 What’s their specialty: From Ninak’s wide range of Southeast Asian cuisine, this is what a Christmas spread would look like: Hainanese chicken, bagoong rice, green mango salad, Ninak rice, nasi goreng, jasmine rice, Singaporean laksa, salted egg yolk fish fillet, salted egg yolk squid, chicken satay, and Thai steak. Serving pounds of shrimp, mussels, and wings in plastic bags, Shrimp Bucket is perfect for those who want to abandon all illusion of posture and embody the spirit of Christmas with making a mess. 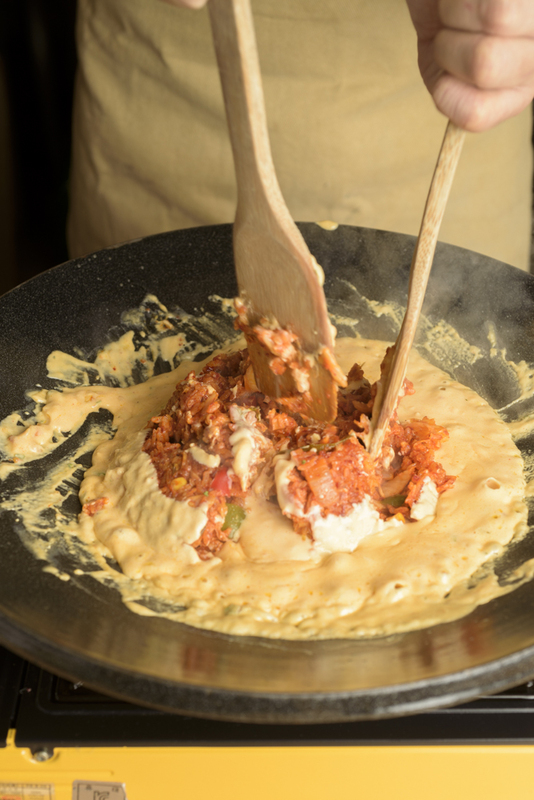 What’s their specialty: A plate of buffalo chicken wings, a pound each of shrimp and mussels in Mardi Gras sauce, one bowl of SB Salad with roasted sesame dressing for starters, and another bowl of Sollie’s tapioca in coconut milk for dessert. All that with some plastic gloves, and you’re set. Morganfields is a haven for those who just love their meat. They have glorious full slabs of spare ribs for dads and other committed and passionate meat-lovers in the family. What’s their specialty: For the holidays, tuck into sharing platters that include a full slab of apple cranberry BBQ spare ribs, half herb roasted chicken with apple glaze sauce, stuffed Christmas pork loin with red wine gravy, fruit Waldorf salad, grilled spicy devil and herby Hungarian sausages, grilled corn on the cob, corn bread, and crispy french fries. Grilled cheese barbecue, Korean street food, and of course, K-pop. Sibyullee is the perfect resto for the family to commiserate with that one (or maybe two) family member(s) swept up by Korean pop culture. 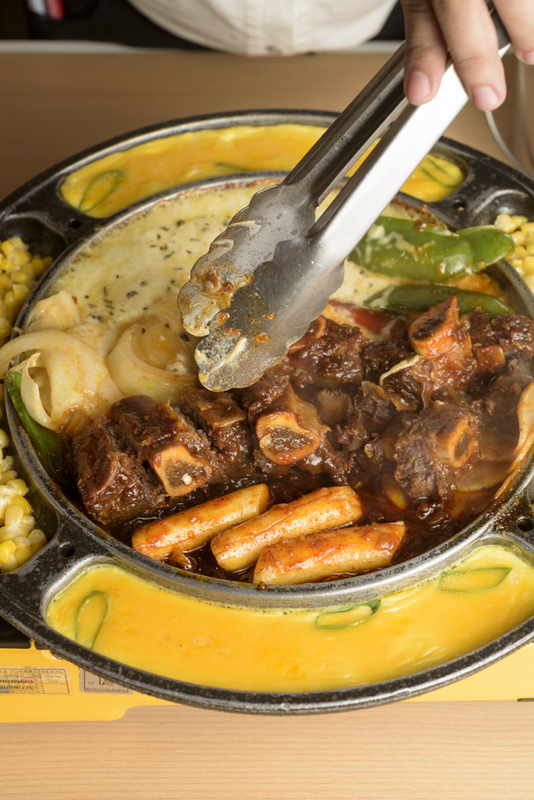 What’s their specialty: Sibyullee offers a handful of value-for-money set meals. 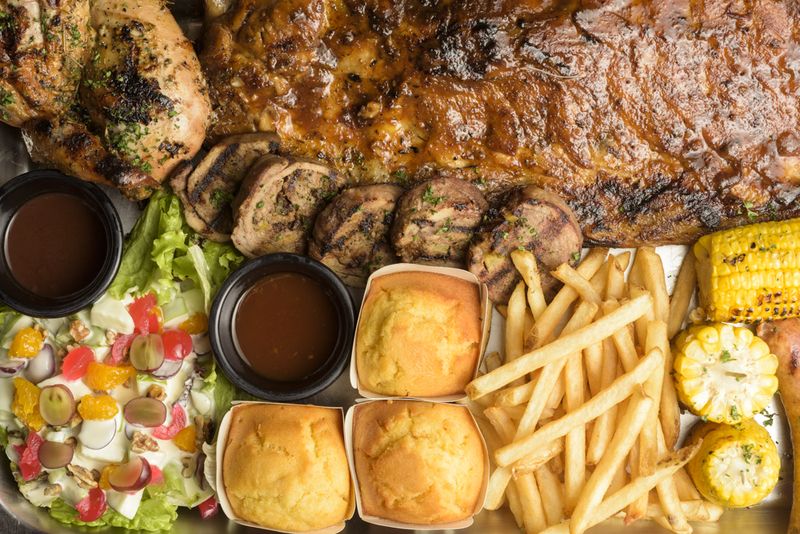 For the holidays though, with certain relatives being impartial to grilled cheese barbecue, we suggest the Signature BBQ Combo Set 3. 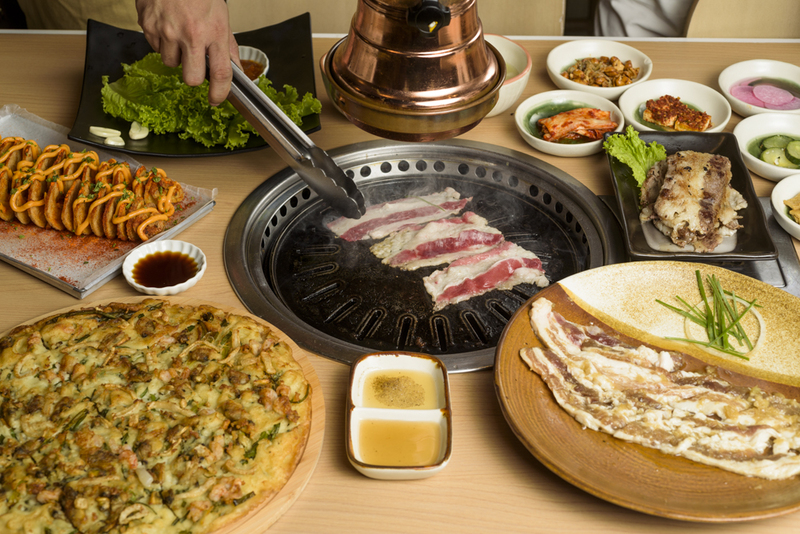 It comes with one Galbi Cheese BBQ (Beef Cheese Barbecue), 200g fresh USDA choice beef belly, 200g pork belly (choice of fresh or marinated in fruity or soy garlic flavors), one Pajeon (Seafood Pancake), one Tornado Potato, one Volcano Kimchi fried rice, two cups of white rice, four servings of seaweed soup, and unlimited side dishes.